Need to send a media folder to a client, but want to make sure they don’t edit the original files inside? With Dropbox, you can share a view-only link to a file or folder and copy it to an email, text, or chat. You can also choose a Dropbox plan that lets you set an expiration date for the link and password protect it. 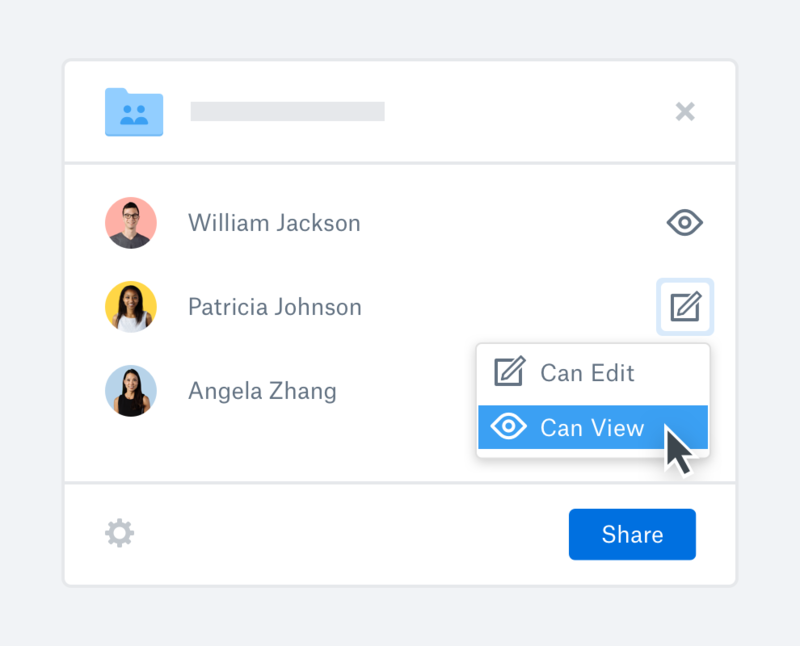 With Dropbox, you can create a shared folder and invite both co-workers and people outside your company. Folder permissions allow you to decide whether to let people edit or view the contents. You can also share a specific subfolder without giving recipients access to the folder it lives inside. It’s easy to give people access to just the “Website Rebrand Images” subfolder, for example, without sharing the “All Images” folder it’s part of. Trying to organise your online folders when they live in multiple locations can be an overwhelming and stressful task. Dropbox gives you more peace of mind at work with one secure storage space for all your folders and files. Know exactly where your work is at all times so you can retrieve and share your folders easily and safely, online or on your desktop. 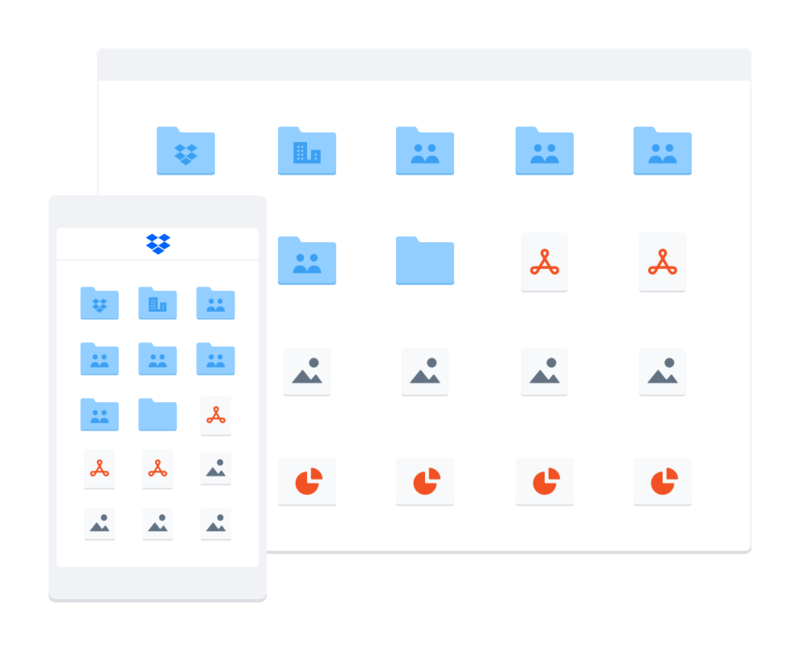 Dropbox gives you one unified solution that lets you see all of your folders and customise their unique sharing permissions. You’ll also receive notifications when someone has viewed, edited, moved, or deleted files or folders with our file activity feature. And when you create a showcase, you can keep track of who views, downloads, and comments on the work you share.